An air agency certificate refers to an authorization to perform certain aircraft repair services. 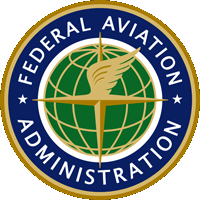 The administrator of the Federal Aviation Administration issues air agency certificates. [49 USCS § 44702].Under the regulations of the Civil Aeronautics Administration, not more than one air agency certificate could be issued for the same aeronautical facilities and equipment. [Edgerton v. United States, 127 Ct. Cl. 515, 520 (Ct. Cl. 1954)]. An air agency certificate authorizes a repair station to perform maintenance on airplanes and airplane parts. Aircraft repair stations are required to certify the airworthiness of the parts on which they have performed maintenance. [United States v. Evaschuck, 65 F. Supp. 2d 1360, 1363 (D. Fla. 1999)EASA Certification. The Department of Alcohol and Drug Programs shall conduct certification evaluations to assess compliance with these standards. Programs that were certified when these combined standards became effective shall have one year from the effective date of these standards to comply with any requirement that exceeds the prior Standards for Direct Alcohol Program Services (for alcohol programs) or the Standards for Drug Treatment Programs (for other drug programs). 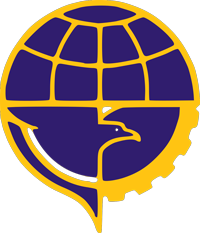 as a Part-145 maintenance organization approved to maintain the products listed in the FAA Air Agency Certificate and associated Operations Specifications and issue related certificates of release to service using the above reference. These operations specifications are issued to CONSOLIDATED TURBINE SPECIALISTS LLC, a Repair Station located in the United States, pursuant to 14 CFR Part 145, 145.53. The repair station certificate holder shall conduct operations in accordance with 14 CFR Part 145 and these operations specifications. The holder of these operations specifications are issues as part of this repair station certificate and are in effect as of the date approval is effective. This certificate and these operations specifications shall remain in effect until the certificate for a repair station that is located in the United States is surrendered, suspended, or revoked. These Operation Specifications are issued as part of this AMO Certificate of Approval and are in effect as of the date approval is effective. This certificate and these Operation Specifications shall remain in force for such period as determined by the DGCA unless the certificate holder surrenders the certificate or the DGCA suspends or revokes it.